Photography is all about creating and saving memories. But to make sure nothing ever happens to those precious memories, be sure to follow these simple tips and links to protect and safeguard your camera and computer memory too! Memory cards are critical to successful photography. No memory cards, no photographs. It's that simple. No matter where I go with my camera, I always bring at least one spare memory card along. Tip 1: Have a Spare Memory Card. Don't have a spare memory card yet? Wondering how to choose the memory card that is right for you? The article Travel Photography Must Haves covers the basics of memory cards: style, size, speed, and brand. Read on and get your memory-card-purchasing questions answered. 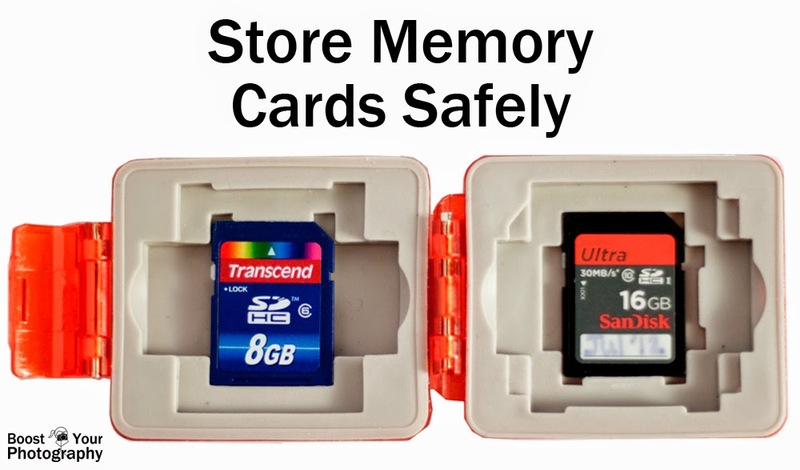 Tip 2: Store Memory Cards Safely. Digital Photography School has a recent post out about memory card maintenance and upkeep: How to Spring Clean Your Memory Cards. Now is a perfect time to make sure that your memory cards are backed up, stored properly, and easily identifiable when you need them. There are a wide-range of memory card holders available. Tip 3: Reformat Memory Cards Properly. The final tip for memory cards is to delete and reformat them properly. Deleting pictures in-camera is a slow and inefficient process. 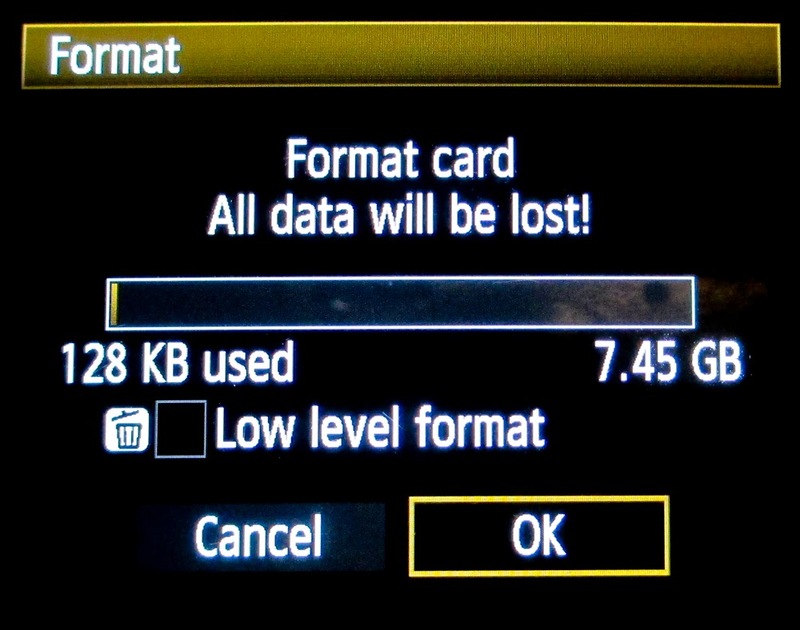 Deleting pictures while the memory card is in your computer (or via a memory card reader) is more efficient, time-wise, but still not the best option. If you want to truly clear out your memory card and have it sparkling and new for your next shoot, you want to reformat the card in-camera. 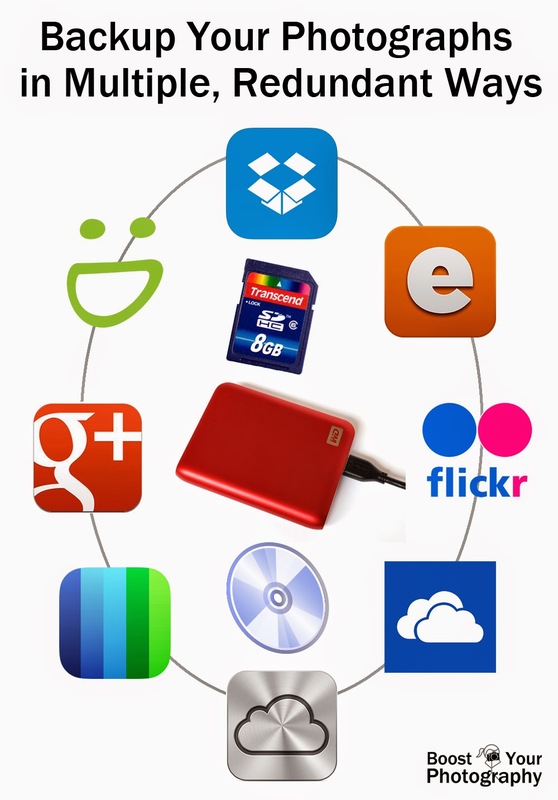 After you have downloaded your photographs to your computer and backed them up in at least one other location (more on that process, below), then you should return your memory card to your camera. Find the format option in your menus and click ok. Uncheck the low level format option, if listed. (Your camera may warn you that all data will be lost, but that is precisely the point.) 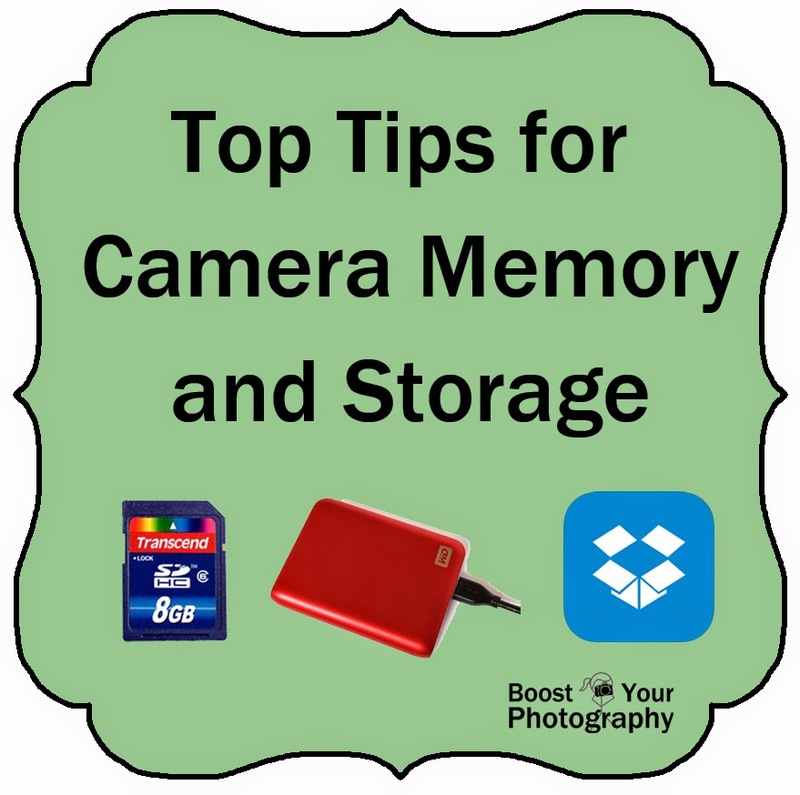 Reformatting your memory cards in-camera will prolong their life and utility, as well as rid them from unnecessary bits and files that can accumulate from manual deleting. Once your photographs are off your memory card and onto your computer, you want to take adequate measures to safely backup and store your digital files. Never rely on just one method. Use multiple, redundant methods to ensure that if one thing fails, your photographs and files are still safe. 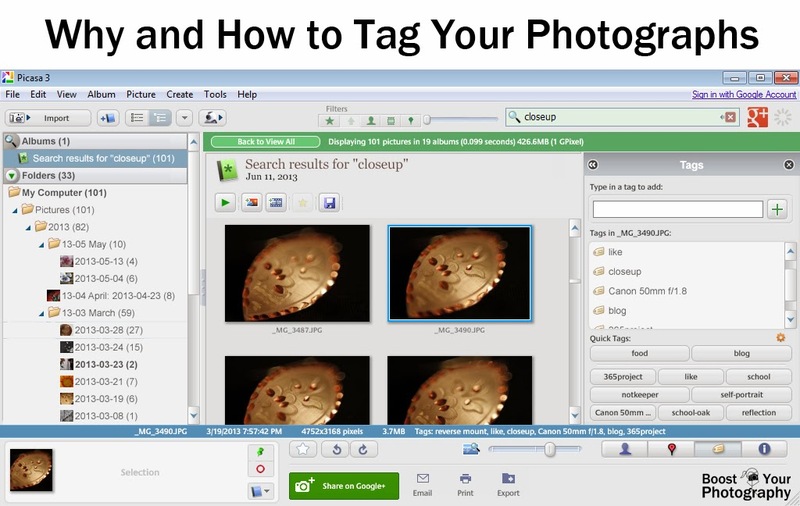 Tip 1: Tag and Organize Your Photographs. An important step in the process of storing and maintaining your photographs is properly organizing and tagging them from the beginning. Nothing is more frustrating that knowing you have a perfect photograph for a certain situation that you are unable to find or locate on your computer. Read the full article on Why and How to Tag Your Photographs. Tip 2: Backup Your Photographs in Multiple, Redundant Ways. Everyone has a tale to tell about broken hard drives or stolen computers that resulted in the loss of precious pictures and files forever. Don't let that happen to you. Backup your photographs regularly, and ensure that you use multiple, redundant methods. Read an example backup workflow in the article Backing Up Your Photos: Why and How on Photodoto. There are RAID style hard drives that will back up files automatically. Looking for a portable hard drive to use as one backup option? Digital Photography School recently posted a review of the Western Digital My Passport Pro. Click the article title to read the full press release and review. Finally, there are many online cloud storage solutions for backing up computers. This comprehensive article on The Verge, The best photo apps for keeping your memories in the cloud, provides a detailed head-to-head review of ten different common online solutions for photograph backups. Personally, I use two main methods for backing up and storing my photographs (and other computer files). The first is using two different portable hard drives. Once a month I make a new backup copy of all files and photographs on my computer and copy it over to each of the two hard drives. I usually keep the previous month's backup files as well, but delete the files from two months ago. Once the process is finished, I keep one hard drive at home and one at work. In case of an emergency like theft or fire, I will still have the other hard drive. My second method is to burn backup DVDs of all my files and photographs once a year. This is a laborious and time-consuming process, but one that I have found helpful for piece of mind. While I do use Flickr for photo-sharing, I only upload pictures that I want to share, rather than my entire catalog. How do you back up your photos? Have a great tip or article about it? Share your thoughts in the comments below.